Marche (or The Marches) is a region characterized by a rich and varied landscape (the Adriatic sea, with its flat and sandy coast interrupted at intervals by rugged, rocky precipices; the harmonious agricultural landscape of its gentle hills; the deep and mysterious caves; the protected areas of natural beauty) as it is varied and rich its artistic and cultural heritage. The Cathedral of Ancona, the regional capital, the Cathedral of Pesaro and the Palazzo Ducale in Urbino. 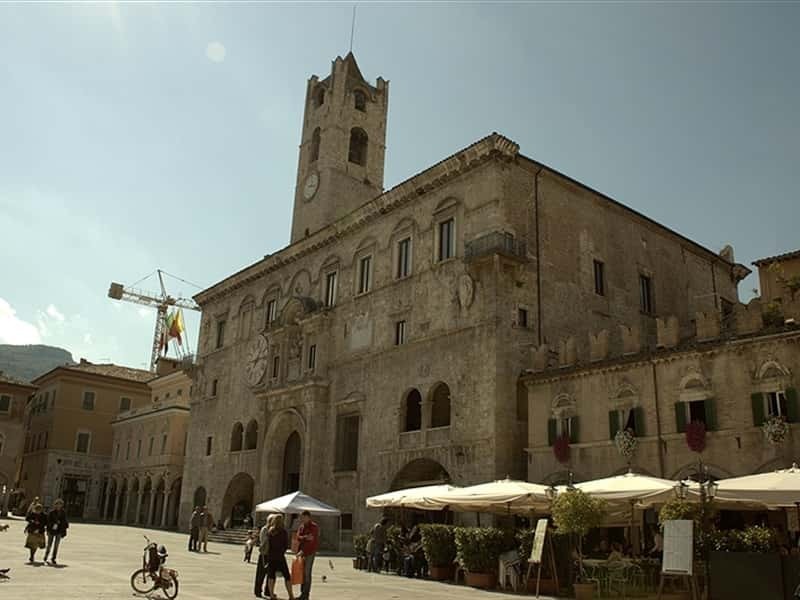 In Ascoli-Piceno, the blend of Medieval and Renaissance architecture (San Francesco, Piazza del Popolo, Loggia dei Mercanti, etc) arrested the attention of even the most distracted visitor. Recanati, birthplace of the great Italian poet Giacomo Leopardi (1798-1837), seat of the World Center of Poetry; Loreto, developed around the Basilica of the Holy Home, where, according to tradition, the Holy Virgin was born, lived and received the annunciation of the birth of Jesus. This region web page has been visited 844,603 times.